Order now - free of charge! 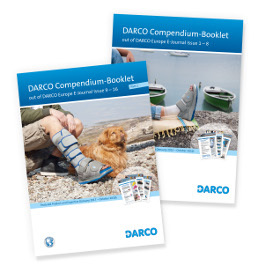 The DARCO Europe E-Journal Compendium-Booklets summarize the chapters "Featured product" and "Expertise" of issues 1 to 8 (Part 1) and 9 to 16 (Part 2). Are you interested in this unique publication? We will be happy to send you the Compendium-Booklets free of charge. On this page you will find news from the DARCO Europe E-Journal since 01.01.2019. Issues and reports from the years 2015 to 2018 can be found here. Please note: Our archive library contains dated material. All promotions and special events published herein may or may not still be current. In order to make the handling even easier for you and your customers, we have adapted the hook and loop fastener of the Relief Dual®. Now we use a hook and loop fastener which can be easily shortened and grips at each point. Here you will find all information about the Relief Dual® Off-loading Shoe. 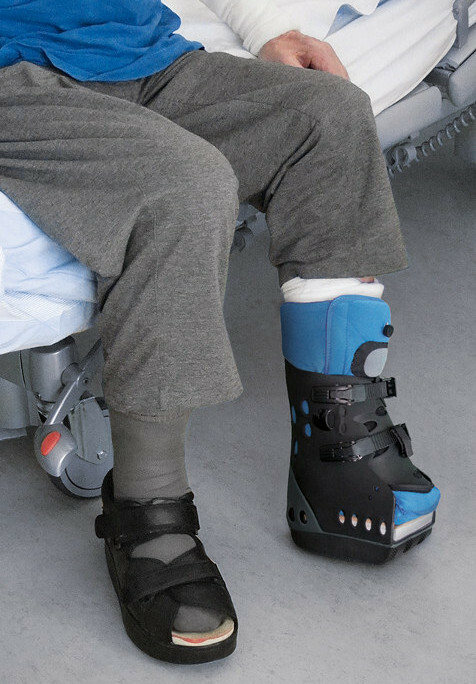 From Post-OP to wound care, the "Allrounder" is a comprehensive healing shoe, a relief shoe and a rehabilitation shoe, an all-in-one design for comfort and ease of use. 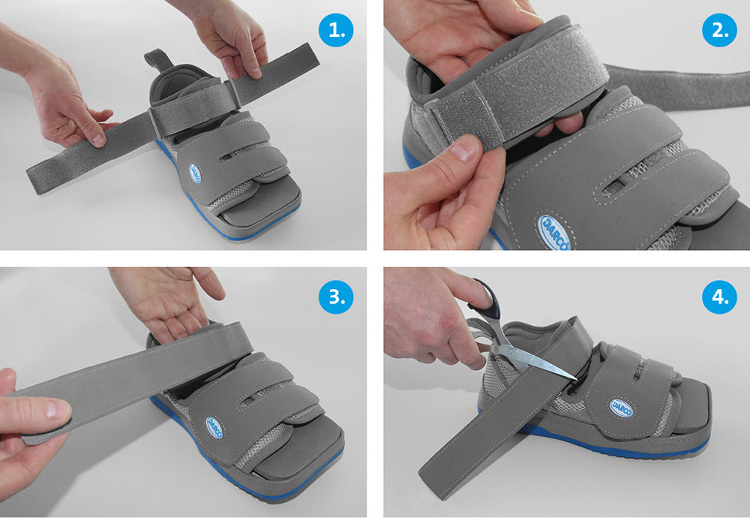 The AllRound Shoe® is the perfect, versatile option with a wide opening for easy access and plenty of room for bandages. The slip resistant sole offers stability and good shock absorption due to two different shore densities. This shoe is also easy to use, especially for elderly patients, where motor skills may be limited. The wide entry and the easy closure possibilities make everyday Life easier. Learn more about the AllRound Shoe® Closed long-term Healing Shoe here. Save limb and prolong life! Foot complications are the most common long-term complication for those with diabetes. A (partial) foot amputation is certainly a last resort. Before that, all registers should be pulled to avoid later amputation. DARCO offers various products in its range to prevent and treat DFUs including therapy shoes, orthoses and insole systems. DARCO's Body Armor® Pro Term is an interim orthosis for use after Chopart and Lisfranc amputations. Load transmission to the proximal foot is ensured by the wedge-shaped outsole and inner sole. The robust cross-ankle shaft stabilises both the talocrural and the talocalcaneal joint. The incorporated adjustable air pads allow this orthotic device to be adapted to fully fit and support the foot stump. The ventral support tongue provides compression over an extended area thanks to the variable closure system. 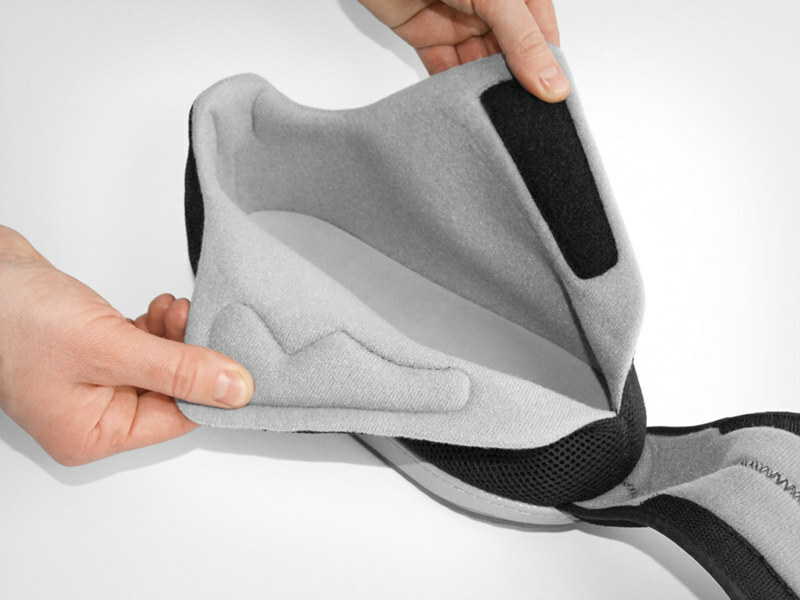 The assembled orthosis can still be customised to meet individual patient needs. 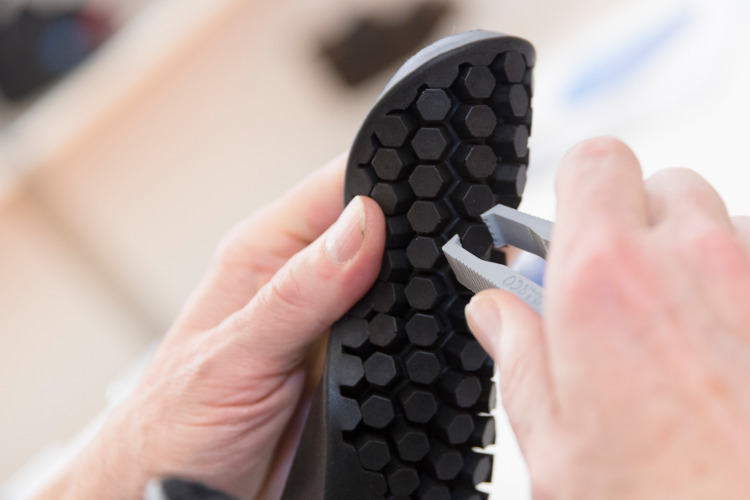 The two-piece insole, consisting of an EVA rope and an EVA/PE sole, is interchangeable or customisable as required. This product is available in two sizes M and L and designed for stump lengths of 16 cm and 19 cm respectively. The orthosis can be worn on the right or left side. 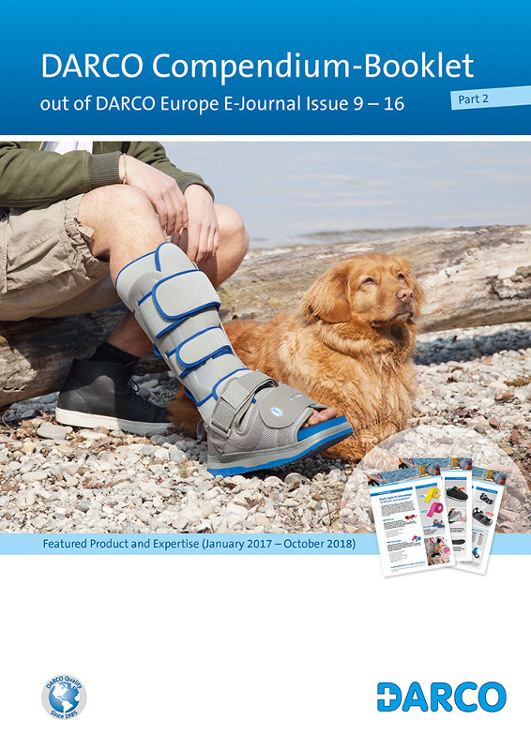 For further information about the Body Armor® Pro Term Foot Stump Orthosis please click here. With huge potential for market growth, DARCO offers medical products of outstanding quality. In order to provide the best knowledge of our products we constantly develop a wide range of informative material for all categories in our product range. 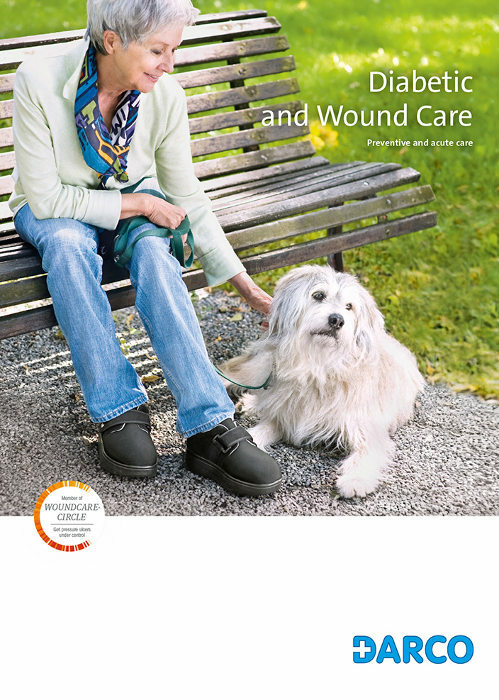 We are now happy to publish a new Diabetic and Wound Care catalogue, providing lots of information relating to indications, sizes, measurements, accessories, fitting instructions and ordering information for our products. You can easily download the brand new catalogue here. The work of the International Working Group on the Diabetic Foot and DARCO's support to the Guidance Documents. "It is estimated that in 2013 approximately 382 million people had diabetes - 8.3% of the world's population. Around 80 % of these people live in developing countries. By 2030, the global estimate is expected to rise to over 552 million or 9.9 % of the adult population. Every 20 seconds, a lower limb is lost to diabetes somewhere in the world". These findings are from the International Working Group on the Diabetic Foot (IWGDF) which was founded in 1996. In 1999, the IWGDF published the first International Consensus on the Diabetic Foot and Practical Guidelines on the Management of treatment. In the year 2000 they became a Consultative branch for the International Diabetes Federation (IDF). The IWGDF's "guidelines" set the standards across the world for evidence based, best practices principles to prevent lower limb amputation and improvements for the management of the DFS. DARCO, founding member of Woundcare-Circle, is one of the many local champions supporting the IWGDF. Over 80.000 copies of the "guidelines" have been distributed globally and produced in 26 languages. The implementation of the New International Guidance Documents is one of the highlights of the upcoming 8th International Symposium on the Diabetic Foot, to be held in The Hague, The Netherlands May 22-25, 2019. Held every four years, this is the largest and most prestigious meeting in regards to lower extremity problems in diabetes. You will find DARCO on-site. We are looking forward to meeting you at our joint booth of Woundcare-Circle F18. 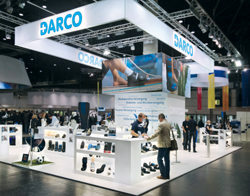 DARCO produces and markets orthopaedic devices and shoes worldwide. As demand grows, expertise proves invaluable for the innovation of high preforming aids for the foot and ankle and in order to create effective solutions for healing foot ulcerations. Alexandra Panizza, Chief Editor of the E-Journal talks with Thomas Dietrich and Regina Felix about product development and the multi-faceted perspectives the term R&D entails underroof here at DARCO Europe. Editor: What encompasses the role of a product developer here at DARCO? In this new booklet you'll receive the highly acclaimed Expertise written by Raphael Böhm, VP DARCO (Europe) combined with the complimenting featured product segment. This easy to use source of information is an effective tool that you can reference and that will support you in your day to day business. The Compendium Booklet is our gift to you as we continue to strive to be your solid partner in innovative orthopaedic solutions. The booklet will come in a high quality printed version. Easy to share with colleagues and partners. Have you missed DARCO Compendium-Booklet Part 1? No, problem at all. We are delighted to send you the first part of this valuable publication, to raise awareness of the information provided by us in DARCO E-Journals 1-8.